What could be more romantic than spending time under the night sky in the sensual hot spring of your own garden? Introducing the most romantic portable hot tub yet: the J-315IP™. It may be small but its side-by-side seating arrangement means you’ll be closer to the one you love. 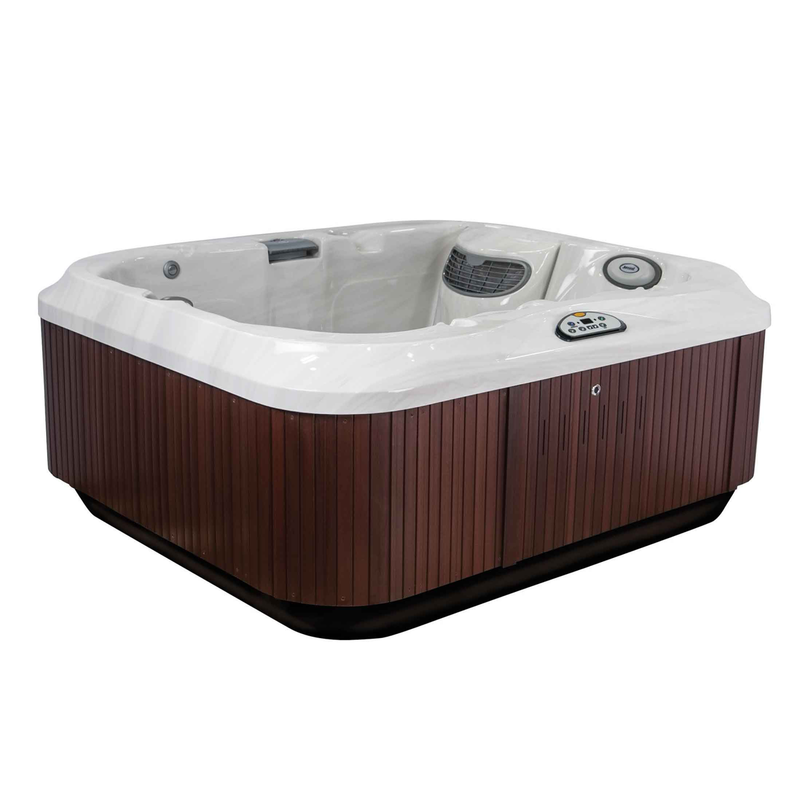 Designed to accommodate two to three adults, the J-315IP™ is one of the most energy efficient portable hot tubs Jacuzzi® has ever designed. Full foam insulation, temperature locking controls, and low watt density titanium heating elements increase thermal efficiency and keep operating costs low. Maintenance is as easy as it gets with the Jacuzzi® 24-hour spa water purification system, so keeping your hot tub clean and efficient is a simple and effortless task. 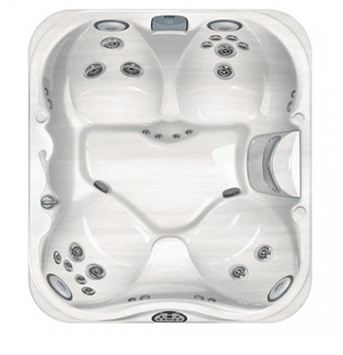 This is the perfect couples’ hot tub; just imagine slinking into a midnight soak with a glass of wine and the tranquil stars shining above you. The new Rocker Switch Air Controller lets you adjust hydrotherapy massage settings. Feel your stress and tension melt away with the colorful illuminated footwell and pillows and the feel of the cascading waterfall on your neck and shoulders. 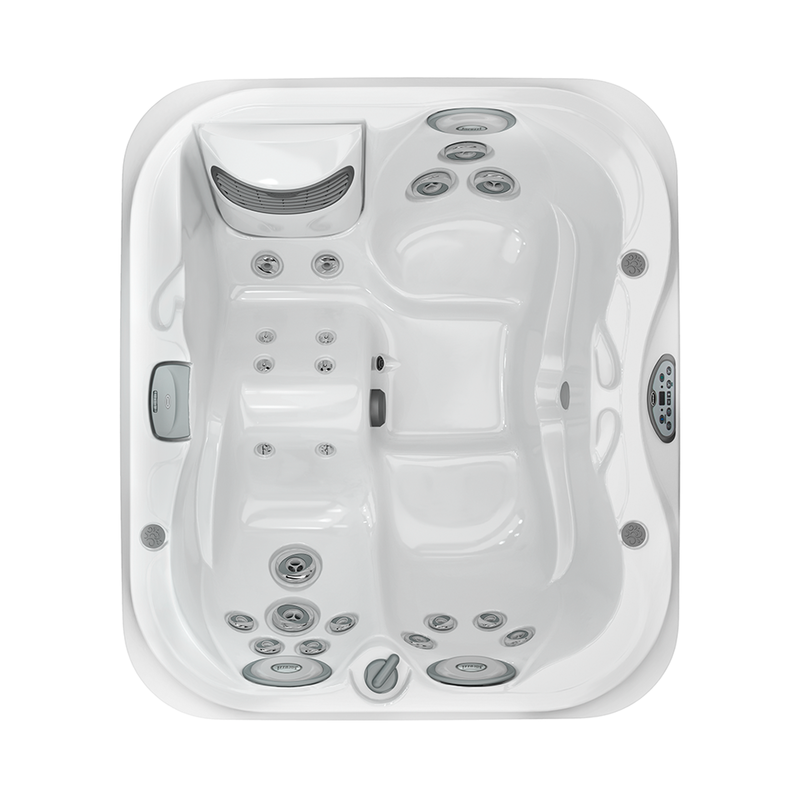 The J-315IP™ Jacuzzi® hot tub is available in a variety of textures and finishes, in both the ProEndure UV resistant cabinetry material and the Jacuzzi® TriFusion™ System acrylic shell. 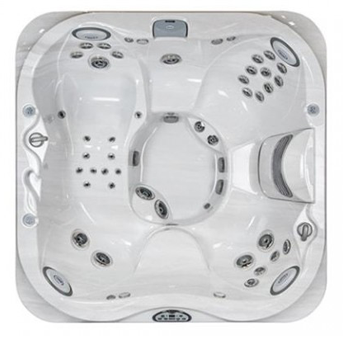 We help make your hot tub experience as comfortable as it should be. Total body relief, pinpointing muscles along the neck and back, targeting larger muscles and relaxing legs and foot muscles.